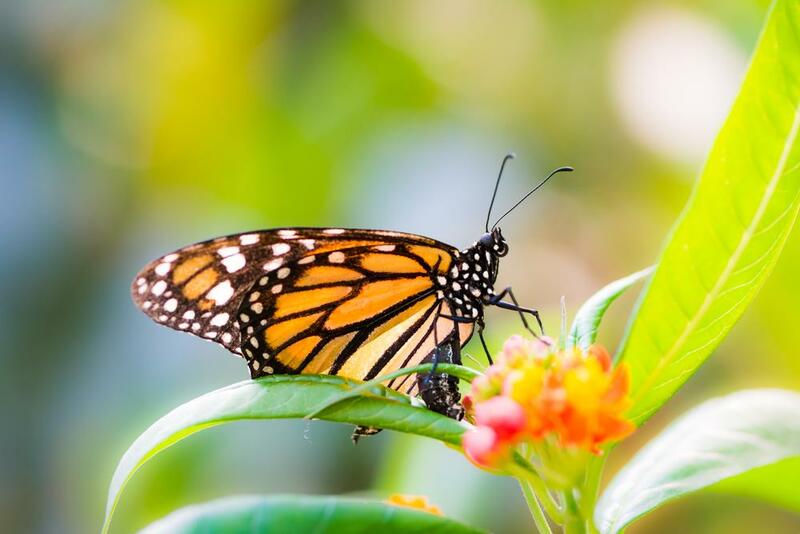 The number of monarch butterflies has dropped by 90% in the past 20 years. Here’s how you can help save them. When you were in elementary school, you probably did a science experiment with monarch butterflies. You watched as the striped caterpillars munched on milkweed leaves, spun a chrysalis, and then emerged as a beautiful orange butterfly. It all came together for the grand finale, when everyone released their butterflies to flutter freely. But when was the last time you’ve actually seen a monarch in your backyard? And what do milkweed seeds have to do with anything? Turns out, there are a lot fewer monarch butterflies in the world than there were when you were a kid — 90% less, in fact. Land development and the creation of genetically modified plants mean fewer milkweed plants. In the case of genetically modified crops, their herbicide resistance means farmers are spraying way more pesticides to kill the surrounding weeds — one of these is milkweed. Monarchs cannot exist without milkweed. It’s the only plant caterpillars will eat, and it’s where the butterflies lay their eggs. As milkweed native habitats disappear, so do the butterflies. If each of us takes one small action, we can help save the monarch. All we need are milkweed seeds. Can I Get Free Milkweed Seeds? Getting milkweed seeds is easy. So easy, in fact, you probably won’t even have to pay for them. More than 100 varieties of milkweed plants, also known by the scientific name asclepias, grow across the United States. Don’t worry about finding the variety of milkweed native to your area. Nonprofits and other online sources will ask your location so they can send you the asclepias variety that grows where you live. Because milkweeds are essentially weeds, there’s a good chance you can find the plants in your neighborhood. If you know where to find one, you can gather the seeds to plant them in your own yard. 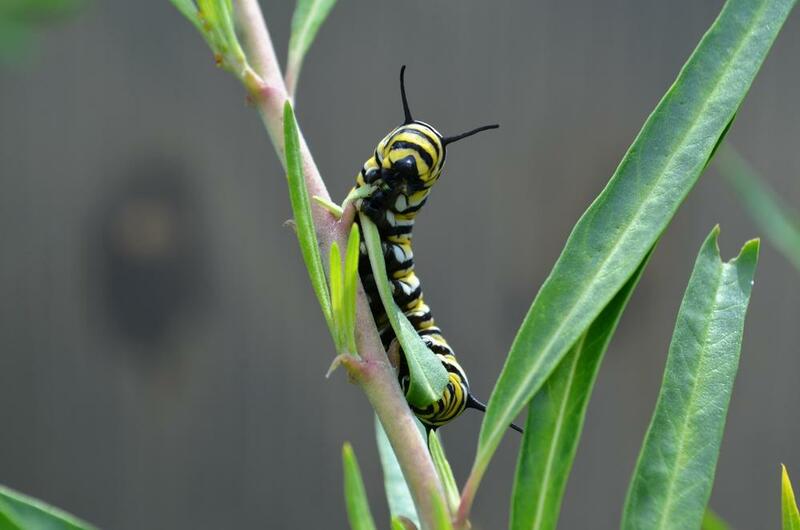 If you don’t know where to find a milkweed plant, don’t fret! Many advocacy groups dedicated to saving monarch butterflies have programs to give away free milkweed seeds. All you have to do is send a self-addressed stamped envelope (remember those? ), and they’ll send you milkweed seeds for free. Save Our Monarchs will send you up to three packages of free milkweed seeds. If you want more than that, they request a small donation. Xerces Society Milkweed Seed Finder doesn’t send seeds directly, but it will point you in the right direction. This database tells you everywhere you can find locally sourced seeds. 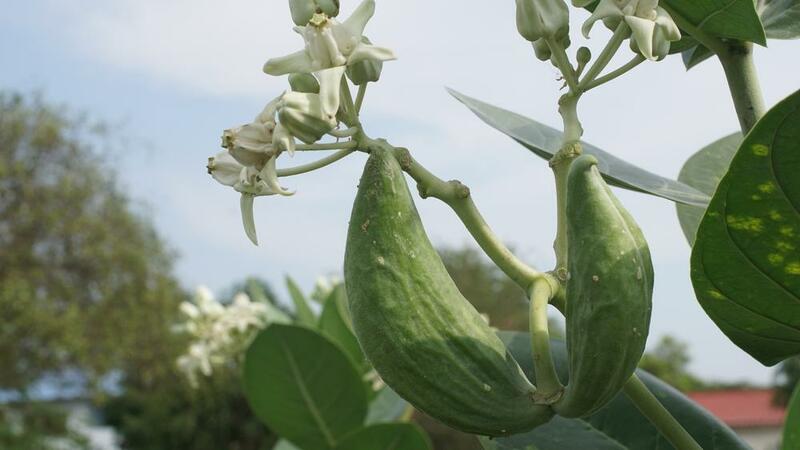 It even specifies the varieties of asclepias in that region. Live Monarch will send you free seeds with a self-addressed stamped envelope. The site does request donations to offset the cost of milkweed seeds they send to schools. Monarch Watch is another database of where to find asclepias plant seeds for all regions. If your local garden club or other organization hosts a seed swap, there’s a good chance you’ll be able to score some milkweed. Your local nursery or greenhouse may also have milkweed native to your area. 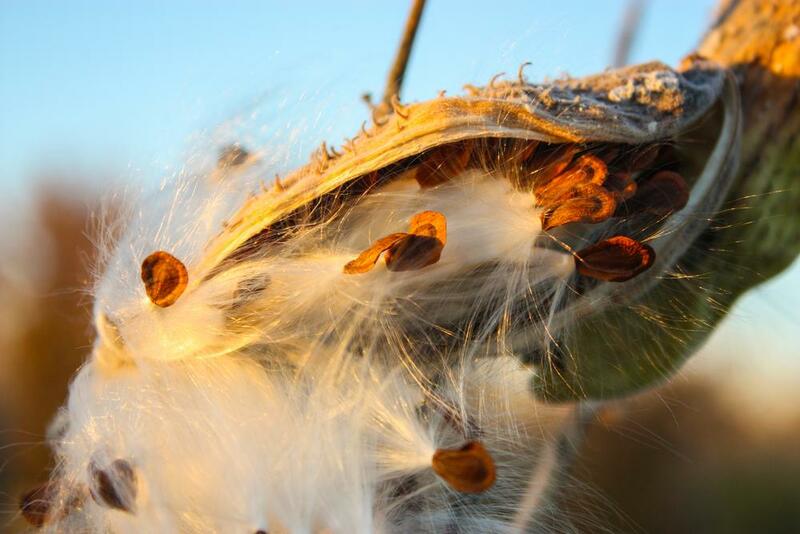 Once you’ve got your milkweed seeds, it’s time to grow them! Once you’ve got your milkweed seeds, growing the plant is as easy as 1-2-3. Most seed suppliers will send you instructions specific to the variety of asclepias you’ll grow. Scatter the seeds across the soil, leaving ¼ to ½ inch between each seed. Cover your seeds with a thin layer of additional soil. Water frequently until they germinate and plants begin to grow. If you order your seeds online, you may have to add an additional step called vernalization. This cold treatment keeps bacteria from attacking the seeds before they have the chance to grow. All you have to do is wrap your seeds in a wet paper towel, put your packet in a plastic bag, and store it in your refrigerator. After three to six weeks, you’ll see tiny sprouts growing from the seeds. As soon as your plants have germinated, they’re ready to plant outside! When to plant milkweed seeds depends on whether you’re growing milkweed from seeds or small plants. If you’re planting milkweed from seeds, it’s best to plant in fall. Sowing your seeds in autumn is ideal because Mother Nature takes care of cold treating milkweed with winter. If you’ve already cold-treated your milkweed seeds, or you’ve started plants indoors, spring is prime planting season. Ideally, you’ll want to start your plants as soon as possible after the season’s final frost. If you’re unsure of when to expect the final frost, you can find historic data from the NOAA. Timing your planting season in fall or spring gives your milkweed plenty of time to grow before summer. That’s when monarchs lay their eggs, and their life cycle begins. Monarch butterflies aren’t just a sign of summer. In their short lives, these insects do more than munch some milkweed. 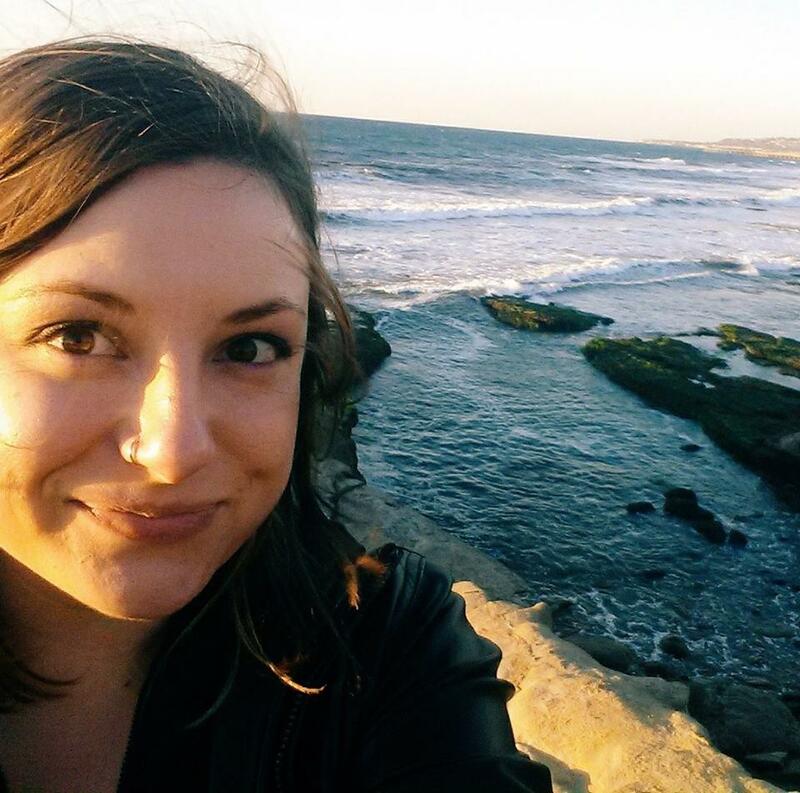 They chase the sunshine more than 3,000 miles, and some have even been to outer space! Milkweed leaves are actually poisonous. As caterpillars eat the leaves, the toxins build up in their bodies. This is why monarchs taste disgusting to predators. Viceroy butterflies look like a monarch’s mirror image, but don’t be fooled. The similar markings are a survival strategy. The viceroy is betting predators will mistake it for their terrible-tasting twin. Monarch butterflies hate the cold. That’s why migrate more than 3,000 miles each fall to Mexico or Southern California. Speaking of migrations, where the monarch spends its summer determines where it goes in the winter. Butterflies that live west of the Rocky Mountains travel to Southern California, and those that live in the east migrate to Mexico. Monarch butterflies migrate to the same spot each year. They have an “internal compass” that directs them to the perfect warm refuge. You don’t have to be a scientist to tell male and female monarchs apart. Take a look at their hind wings. If you see a black spot in the center, it’s a male. If not, it’s a female. Those spots are scent glands that help butterflies attract a mate. Youngest children rejoice! A monarch butterfly’s birthday also determines its lifespan. Monarchs can produce four generations in a single summer. The first three generations live from two weeks to two months. The last generation is the one that migrates for the winter before returning to lay eggs for the next generation. They can live at least seven months. Monarch butterflies don’t just love staying in sunshine — they need to. They can’t fly if their body temperature is below 86 degrees. If they get too cold, they’ll bask in some rays or “shiver” their wings to warm up. Monarch butterflies have even traveled to outer space! Astronauts aboard the International Space Station have taken the insects with them to breed in zero gravity. The globe-trotting monarch may lead a life of adventure, but they are in danger of being wiped out forever. The good news is we can all take action to save these beautiful butterflies. Get some milkweed seeds, and plant a few for the monarchs this year. Not only will you enjoy watching butterflies flutter across your yard, but you’ll also save this species for generations to come. "If each of us takes one small action, we can help save the monarch. All we need are milkweed seeds."